Author, David Francis has an interesting, full life. He grew up on a rural farm in Australia surrounded by horses, performed in competitive showjumping in his early twenties and represented Australia in an equestrian team that competed in Europe, then landed up in Los Angeles pursuing a career as a lawyer. And all the while writing novels. 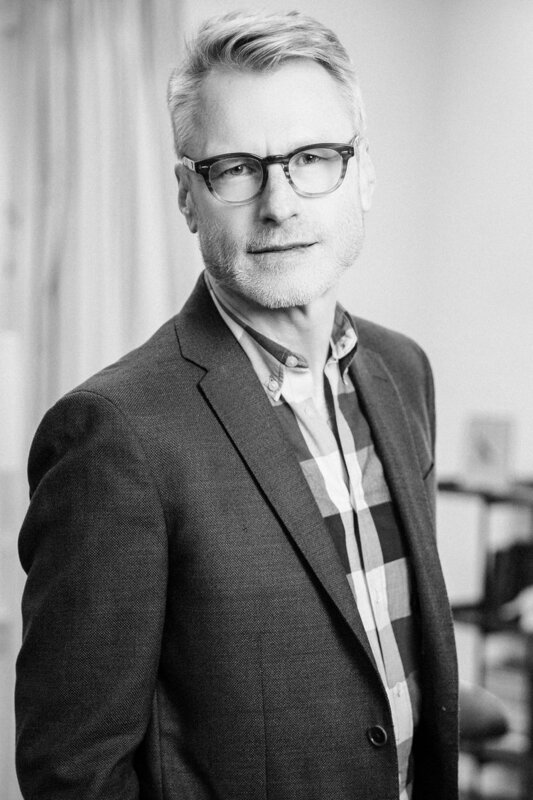 His first book, The Great Inland Sea, was published in seven languages, while his second book, Stray Dog Winter, won Book of the Year in The Advocate, The Barbara Gittings Prize for Literature, and was a LAMBDA Literary Award Finalist. David’s short fiction has appeared in Best Australian Stories, Meanjin, Griffith Review, Southern California Review, The Sydney Morning Herald, The Rattling Wall, Los Angeles Times and Harvard Review. And last, but not least, Francis is currently the Vice President of PEN Center USA. His latest novel, Wedding Bush Road revisits the past, journeying back to the unfinished and the uncomfortable, mixed with that affectionate longing we have for all things “childhood”. The protagonist, Daniel Rawson, embraces his Australian roots while another part of him flat out rejects them. Returning to the horse farm on Wedding Bush Road where he spent his childhood, Daniel must deal with his aging mother’s health, his philandering father’s banishment from the main house, and a rundown farm that has been invaded by a crazy woman and her feral son. 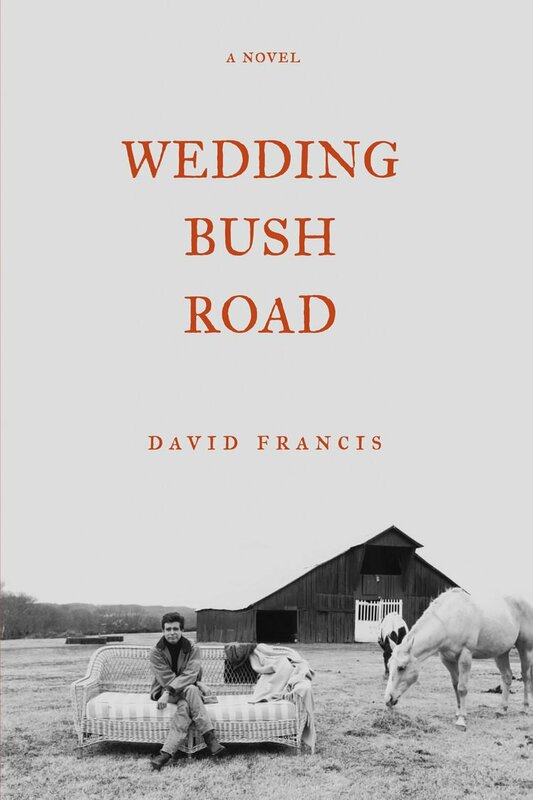 Wedding Bush Road explores the theme of opposites – past versus future, tame versus wild, obligation versus freedom, a “picture perfect” fiancé versus a wild woman squatting on the farmland. We see Daniel torn between his idyllic life of lattes and yoga in Laurel Canyon, LA, and that of the dry, dusty, wasteland where “the light is so harsh it eats everything up”. SoCal Magazine caught up with David Francis for an interview, and accolades and praise aside, David is grounded, easy going, and thoroughly engaging. How long did it take to write Wedding Bush Road? It started as a short story that was published in the Harvard Review and Australian stories. I thought it was done; home and hosed (a horse term), but then I heard Reggie’s voice and revisited the story. So five years all told, with roughly five drafts. Were there a lot of rewrites? My editor at Counterpoint, Dan Smetanka, had minor changes and one big one. He put it out there tentatively wondering if I’d freak out. Basically he wanted me to change the last 3rd of the novel. It used to be that the girlfriend, Isabelle, arrives in Australia and hijacks the novel. Dan wanted the focus to remain on the main character, Daniel. In hindsight, it seems right. I wrote 8-9 hours a day dealing with that change, for 3 weeks, and it worked. Dan was delighted. Is it hard to jump from lawyer brain to author brain? Actually, I can quite readily. I thought being a lawyer would preclude me from creative writing – but now feel as though the lawyer part of my brain creates a subconscious order which allows me to write organically and still have structure. I write from the body/heart, capturing the sensual – like a vivid dream. I get the conscious, ego mind out the way, and work from my “not thinking” mind. I like having the structure my job provides, plus I sometimes write from the office which makes me aware that I don’t have time to phutz around. I value the free time, and my mind prepares for a writing session at a subconscious level. So yes, my day job is less of an inhibitor than I thought it would be. I also write in my attic at home, and sometimes in the cemetery at the graveside of a Rumanian woman called Polexinia. I sort of adopted her. An elderly gent came up one day and thought I was Polexinia’s son, and that I was writing a letter to her. Even through the language barrier, it was a beautiful thing. Mostly public finance; helping organizations that the government doesn’t fund anymore. I started as a lawyer in Australia with a stuffy firm and I hated it. Then I was chosen to perform in competitive showjumping and thought I’d never be lawyer again. However, I met someone at a firm in Melbourne, and when they moved to LA, they brought me out to visit – I got a job and never left. Was it tricky writing in the present tense? I like the first person present tense, which is literary suicide – and there are various points of I told in the present tense, which is double suicide. I love writing in the first person – and don’t worry that it may not provide enough scope. I believe the accumulative style of first person narrative is omniscient. Is the name “Rawson” on purpose? Actually it’s my father’s middle name. What is the difference in audience reaction from US to Australia? Australians are a little hurt by the way their country is depicted, but country life in Australia is hard. Wedding Bush Road explores that harshness and lack of sophistication by contrasting it to Los Angeles life. I think of Los Angeles as softer. Australia somehow hardens me – I even looked older at my book launch in Aus. Is it too soon to ask about your next book idea? I’m already 149 pages in. This story is set in California and is about someone who, to gain some currency in LA, pretends to be Australian but is really from a desperate chicken farm in Ventura. The story is quite different in tone – light and biting, but there is a point where things turn on him and he has a come to Jesus moment. It’s based on a couple of short stories: Moses of the Freeway, published in Australian Love Stories and, part of El Curandero, published in the PEN Center USA-affiliated literary journal The Rattling Wall. I’m heading to Sydney for the Writer’s Festival, and to be on a national radio show. Plus, I’m going to lecture on my experience of the LA riots – how I went to a political rally in a church and landed up singing lead tenor in the oldest black gospel choir in LA – I was the only white boy (laughs). We performed as part of the World Festival of Sacred Music at the Hollywood Bowl, with the Dalai Lama on stage.